I grew up in humid suburban northern Ohio, USA, near woods filled with oaks, maples, beech, tuliptree, hickory, ash, ironwood, dogwood and sassafras. My first natural history fascination was with backyard butterflies. Observation of certain butterflies’ decreases in local abundance across a few years (spicebush & black swallowtails, american coppers and blues) was my first experience feeling like a conservationist. My interests migrated to tropical fish in aquaria (and their breeding–livebearers, bettas, cichlids) and reptiles (and rat- & king-snake breeding) and rodent genetics (since I bred lab rats and mice as snake-food, anyway). 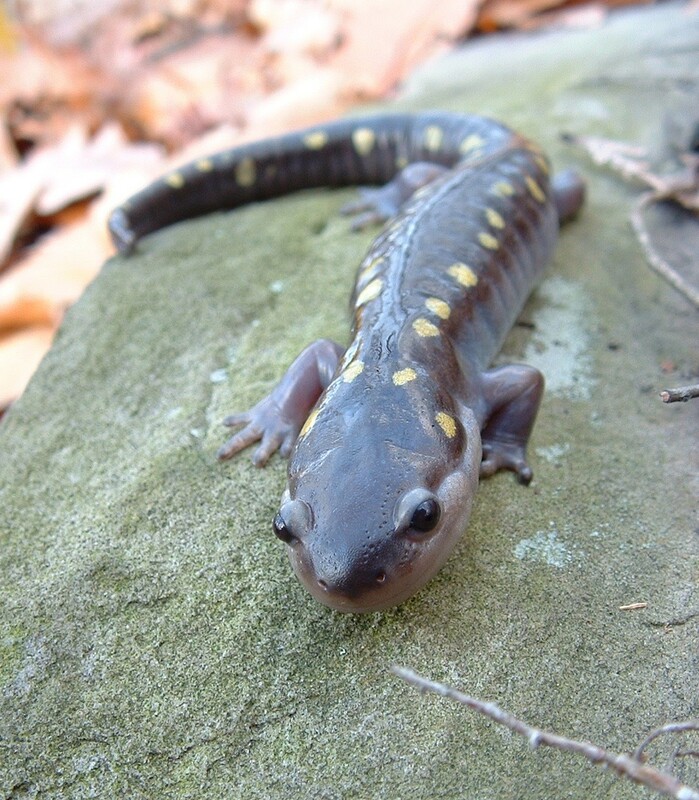 As a child on my own, I poked around the edges of moist woods nearby and found redbacked, spotted & dusky salamanders; wood, green & spring peeper frogs, and american toads–along with the occasional small snake. As a child I could recognize many local plant species. Some I learned as a result of summertime morning classes at an education center Mom hauled me to near Lake Erie. From age 6-8, at the Lake Erie Nature and Science Center in Bay Village, Ohio, I enjoyed programs at the planetarium, learned about plants and insects on hikes with the instructors, helped collect leaves to feed the caged saturniid moth caterpillars we watched progress through their life cycles, watched a rehabilitated hawk feed on dead chicks, and enjoyed a wide variety of art projects that involved plants or animals. When I was a little older, an annual late summer project was picking elderberries at a spot I found (now a parking lot), carrying them home on my bike, and making elderberry jelly with Mom. Much of my appreciation of natural history was encouraged by relatives. 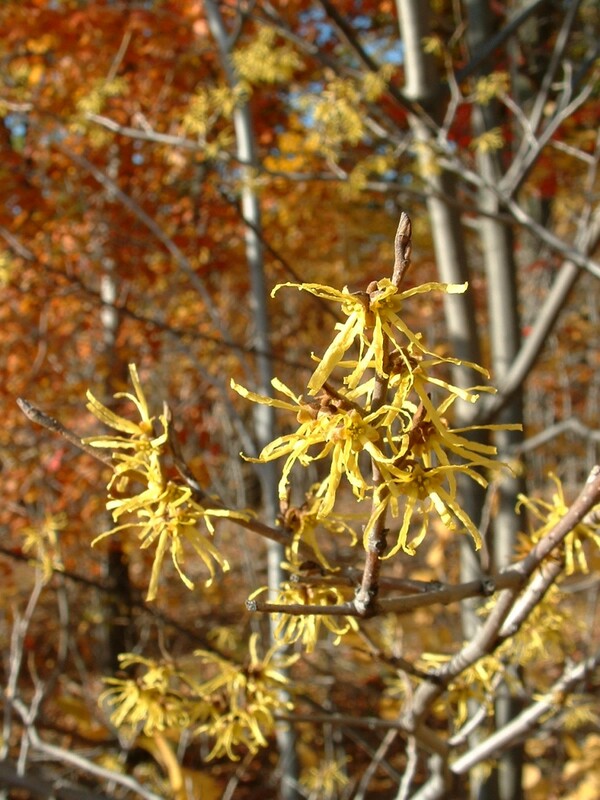 My German grandmother taught me what shrub was Witch Hazel, showed me her “Night-blooming Cereus” cactus flowers on her porch that opened only one night each, and was an accomplished watercolor painter of plants. Grandfather was a water-witcher, gardener and walnut-scavenger. The grandmother who shared my last name, “Hazel,” liked sassafras tea, accompanied me to pick blueberries and black raspberries, and kept telling me what the birds were saying. Cousins on a farm with cattle & cornfields came with me, plus a trailing dog or two, when I’d visit them & I’d want to go fishing in the creek. Sometimes that meant harassing frogs or schools of baby bullhead catfish as much as fishing. Visiting with a different family of cousins, I saw how migrating monarch butterflies could layer a tall cottonwood tree and learned that some girls do like gartersnakes. An uncle who was a biology teacher passed me his Colombian boa constrictor to take care of for a year. Parents took us camping diverse places across the USA and Canada. On those trips, I preferred the waters’ edges and uncertain paths that I found near some campgrounds over the urban historical landmarks or museums of science & industry the family was obligated to see. I appreciate how my engineering-minded father put up as well as he did with my lack of interest or aptitude in mechanical things. He and I spent many Saturday afternoons fishing in various bodies of water in northern Ohio, usually in a canoe. We seldom caught anything worth a story, but those hours with him certainly helped me learn to be at ease outdoors. 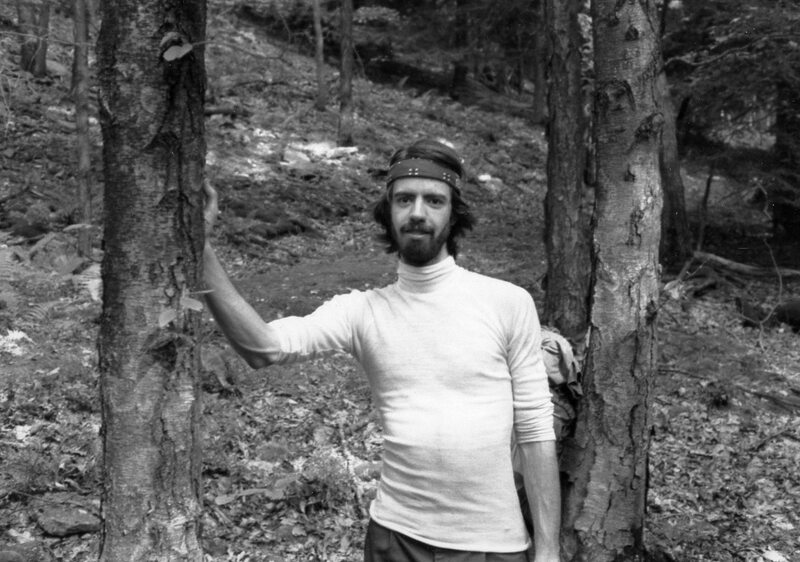 As an undergraduate university student at New Jersey’s Princeton University, I was told I came from “the midwest”, when I had believed Ohio was part of “the east.” While at Princeton in the 1980s, I co-led six 6-day late-summer backpacking trips of entering freshmen, mostly in the woods of central Pennsylvania. 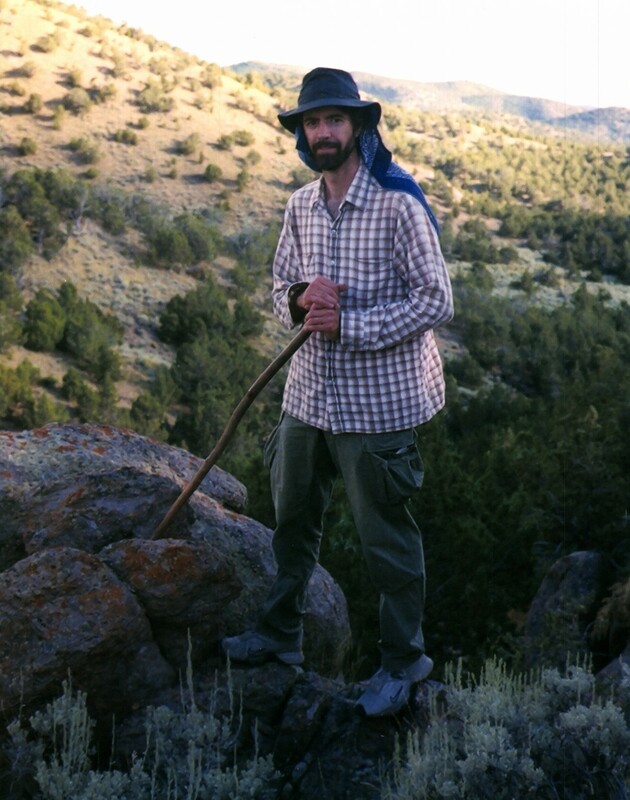 I learned to wear wool socks when hiking, bathe with moss in a creek, hang bear bags at night, purify creek-water, and found that even though I had never boy-scouted I was good at collecting firewood and deciding where to set up camp. I was relieved that the worst endured by someone on a trip I led was the pain of a few yellowjacket stings. In January trips to upstate New York, I learned about winter camping and found that my shiver-prone body could adapt to wintertime cold after living in it 3 days. 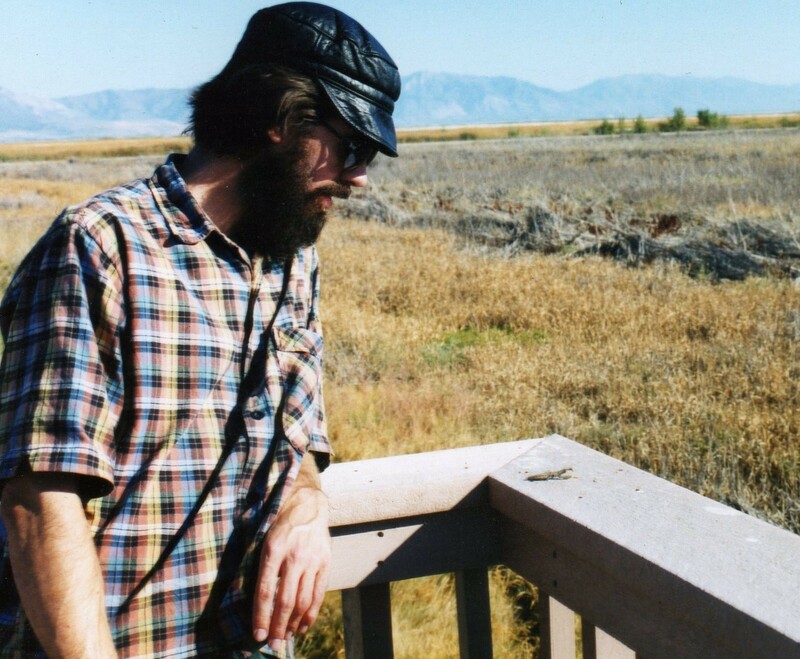 As the 1980s ended, I moved west to the USA’s real midwest called Utah, and eventually finished a PhD in mammalian genetics at the University of Utah. That work was indoors. 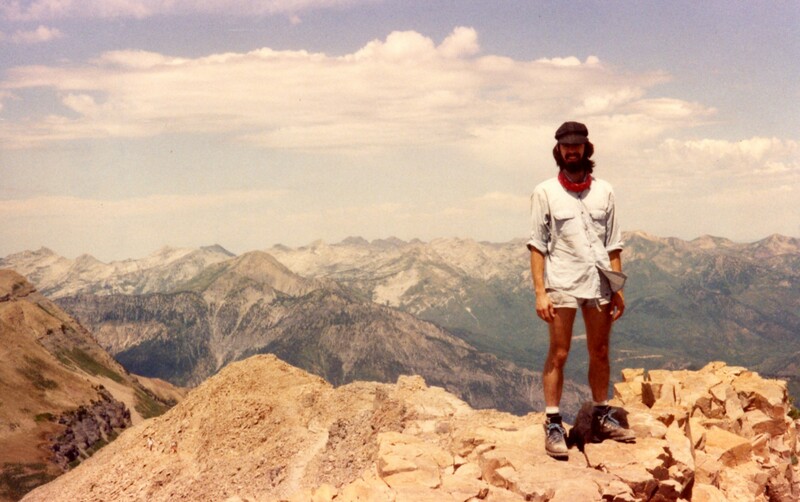 During graduate school I enjoyed occasional hikes in the nearby Wasatch Mtns, including an annual late-summer hike up Mount Timpanogos with lab-mates. 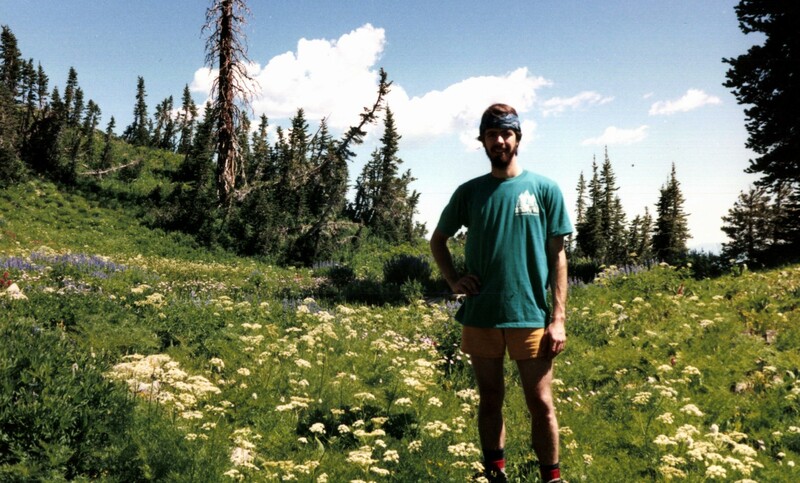 With fellow grad students I enjoyed several sandy SE Utah backpacking trips and also nighttime hikes to hot springs. In 2002 I adopted a more deliberate mindset to try to identify all reptile and most plant species seen in the field. From May-October during 2002-2006, with annual permits necessary then from the Utah Division of Wildlife Resources, I volunteered as an occasional reptile surveyor and across those years contributed more than 1,000 volunteer hours (& hundreds of submitted survey sheets) aimed toward Utah Mountain Kingsnakes and Utah Milksnakes (Lampropeltis pyromelana infralabialis and Lampropeltis triangulum taylori). I had grown familiar with other subspecies of those two species as a result of keeping and breeding them in captivity, but searching for wild ones was a new challenge. 2004 was a good spring–when I found and photographed specimens of all three of Utah’s kingsnake species. I’ve stumbled upon specimens of many other native reptiles, and learned more not about kingsnakes than I learned about kingsnakes. 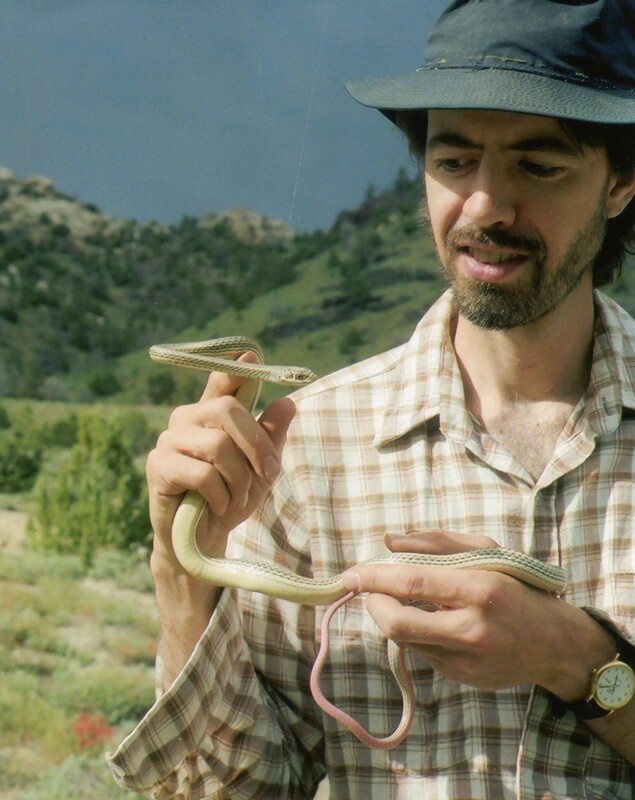 In the mid-2000s, I was part of the Utah Herpetological Association that advocated for some changes in Utah’s state regulations regarding reptiles. As a result of that, starting in 2007, one no longer is required to apply, pay for and receive a special permit in advance in order to 1) briefly and gently handle a wild kingsnake to obtain a good photograph of it, or 2) salvage a dead one and submit it for eventual accession as a preserved museum specimen. 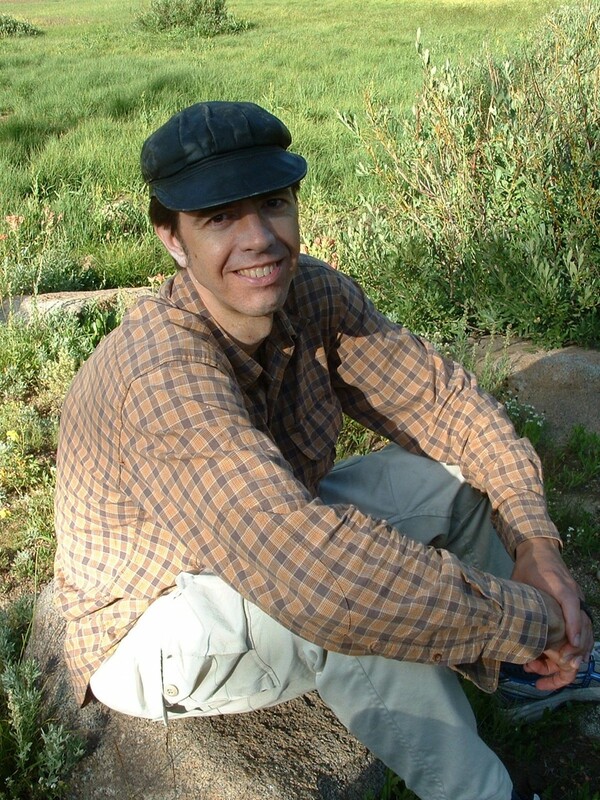 During 2007, I was employed part-time by Red Butte Garden’s conservation program (based in Salt Lake City, Utah) as a fieldwork technician in Red Butte’s efforts as part of the BLM-sponsored Seeds of Success seedbanking program. 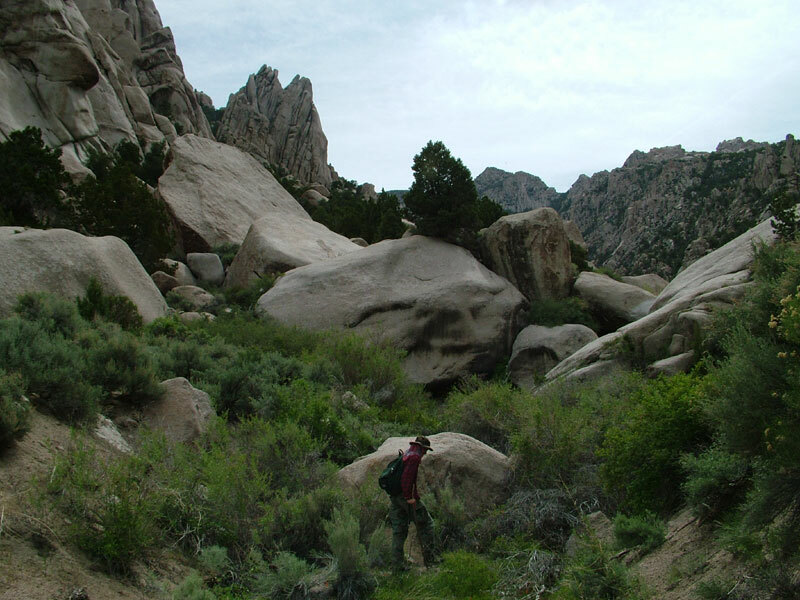 That season we located, vouchered, collected and submitted large seed collections from 16 native plant populations across Utah, from species that had not yet been collected as part of Seeds of Success. During summer 2010, I participated in field research with the National Park Service to chart the seasonal movements of adult rattlesnakes in Nevada’s South Snake Range that had been implanted with radio transmitters. I continue to observe wild plants and animals in my spare time. My outdoor excursions, mostly on weekends, have tended to be south or west of Salt Lake County, Utah–toward several mountain ranges that hold habitat suitable for Utah Mountain Kingsnakes but where that species has not yet been formally photovouchered or documented. When I look up to the mountains around and within this Great Basin, part of me still feels like a surprised newcomer. It took me 15 years of occasionally looking for its kingsnakes under rocks to find at least as many of those there as bats, when I did not intend to awaken those bats. Maybe in coming years I can find more kingsnakes than bats beneath rocks? When I fail to find the species I aim for, I still seem to encounter unanticipated and interesting new things. For years now I’ve kept personal field notes and taken some photos. Such observations comprise this blog. Thank you for visiting Lake Erie Nature & Science Center today and for sharing your story about enjoying this place as a child. Your work is inspiring and worth sharing with many of our children and teens in our current programs. Wow Mark! Beautiful work. How about a slide show combining your imagery with some of your songs? Very cool “Snicklefritz”, but I just can’t get into reptiles. Pictures of plants are great. Of you, not so much. Mark is my nephew, and he knows I’m just kidding him.